Want to get rid of a domain, forever? No problem — just keep in mind that once it's deleted, you may not be able to re-register it in the future. 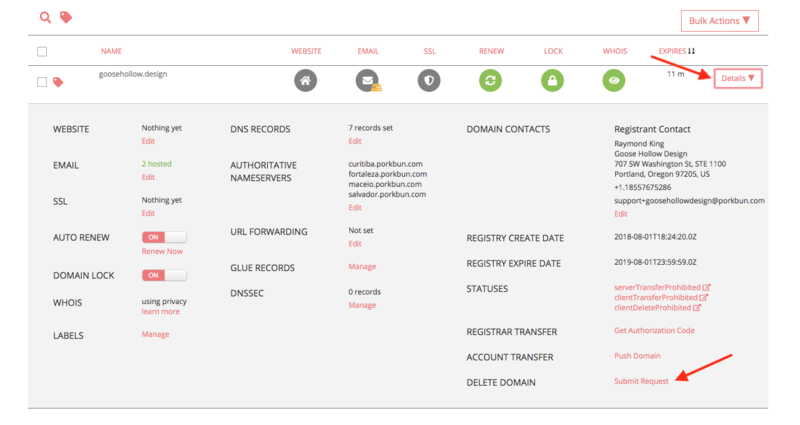 Any associated web or email hosting at Porkbun and all associated files and emails will be permanently deleted. Identify the domain you wish to delete and click the Details drop-down list next to the domain. Then, select "Submit Request" next to the Delete Domain section. 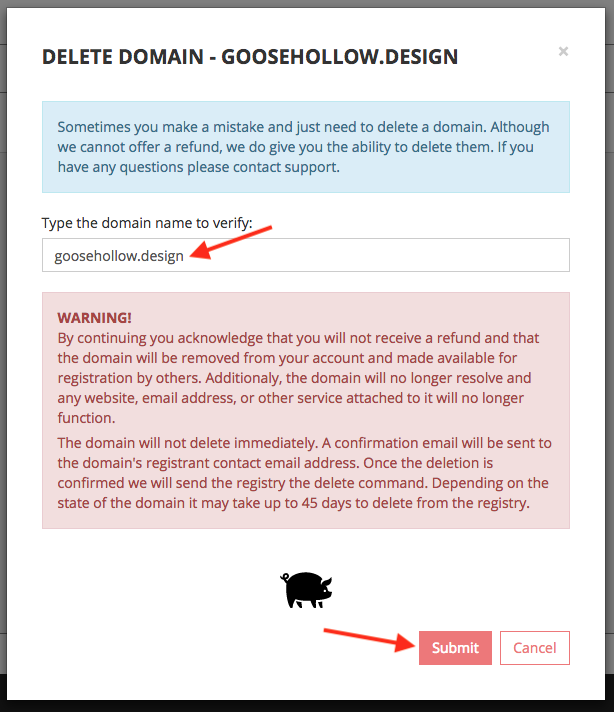 On the Delete Domain popup screen, type the name of the domain to confirm that you wish to delete it. The domain name must match the one you wish to delete and should not include "www" or any other information. Once you've typed it in, click "Submit." As a final step, check your email for a message with a subject header that contains the phrase "Domain Deletion Verification." Open the message and click the link labelled "CONFIRM DELETION." Your domain is now deleted.